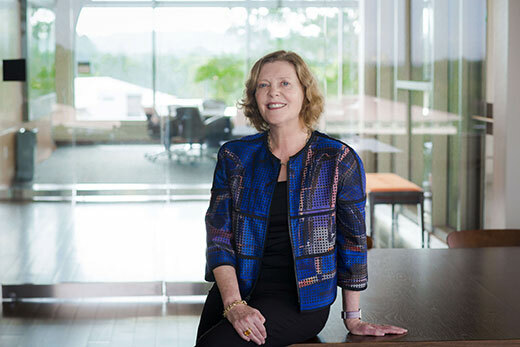 Emory President Claire E. Sterk and other faculty experts are speaking out about President Trump’s call in his State of the Union address to end HIV transmission in the U.S. by 2030. Emory has played a key role in HIV research, education and treatment since the earliest days of the epidemic. More than 94 percent of U.S. patients on therapy, and thousands more around the world, take one of several HIV/AIDS drugs invented by Emory scientists. Sterk, Emory’s 20th president, is a globally renowned thought leader whose work has focused on social and health disparities; addiction and infectious diseases, specifically HIV/AIDS; community engagement; and empowering women leaders. “HIV/AIDS affects communities, not just individuals. That means our solutions also need to take place at the community level. It’s especially important that we remove barriers to effective diagnosis and treatment,” Sterk said in a statement responding to Trump’s speech. "Emory University has a long history of leadership in these fields. We look forward to working with the U.S. Department of Health and Human Services, CDC and with state and local partners to end the epidemic in Atlanta and well beyond. Great strides have been made in recent years, but some zip codes in the Atlanta area still have rates of HIV/AIDS that are six to eight times higher than the national average,” she continued. As media outlets around the nation cover the president’s call to eliminate the HIV epidemic, they are turning to Emory faculty experts for insight and analysis. James Curran, MD, MPH, is dean and professor of epidemiology at Emory’s Rollins School of Public Health as well as the co-director of the Emory Center for AIDS Research (CFAR). He formerly served 25 years in leadership at the CDC, where he led a task force charged with determining what was behind the first cases of what we now know as AIDS. A pioneer in HIV/AIDS prevention, Curran led the nation’s efforts in the battle against HIV/AIDS for 15 years before joining Emory. "We have the opportunity to improve people's lives; actually save their lives from a treatable condition, through which there's still too many deaths; and then reduce transmission to others. In order to do this, we need to have resources which are very well coordinated," Curran told CNN. "This begins at the federal level with additional resources, but then it has to be translated to the state and county and local levels." Read “Trump's plan to end America's HIV epidemic by 2030, explained,” on CNN.com. Curran was also featured in an extensive interview on the radio program “A Closer Look” on WABE, “A veteran Emory AIDS researcher looks at President Trump’s new initiative,” published Feb. 7. Carlos del Rio, MD, is Hubert Professor and Chair of the Hubert Department of Global Health at the Rollins School of Public Health and professor of medicine at Emory University School of Medicine. He is also co-director of the Emory Center for AIDS Research. Media reached out to del Rio even before the State of the Union. “I’m really excited that this may lead to something,” del Rio said in an interview with Science Insider prior to the speech. “Four out of the five states in the country with the most HIV are Southern states, Georgia being No. 1,” Armstrong told Atlanta television station WXIA 11 Alive on Feb. 6, noting that “2030 is extremely ambitious, but it is important to set goals whether or not you can reach them, because it means there will be resources and progress.” View the segment. Rollins School of Public Health’s AIDSVu map project, which shows areas of the country hardest hit by the HIV epidemic, was also featured in Business Insider’s coverage of Trump’s speech.